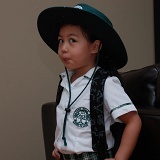 Sabine’s starts kindergarten at Baulkham Hills North Public School. Gabriela’s fourth birthday. 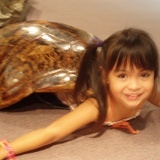 She spends the day at the Australian Museum with Sabine. 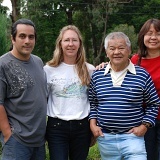 Linda’s Uncle Nonoy, his son David and daughter-in-law Lisa visit for a few days. We take them to Bondi, the Blue Mountains and do the sights of Sydney before they head back to Manila on 26 January. They will spend a few days there visiting family before returning to Indiana. We return to Sydney tired but satisfied after a great reunion and holiday.